Sydney Harbour Luxe Charters deliver unparalleled executive meeting harbour charters.SHLC believes that it is crucial to have access to grade A meeting room facilities. We offer a wide range of luxury vessels that will accommodate small meetings to larger rooms for high profile board meetings. 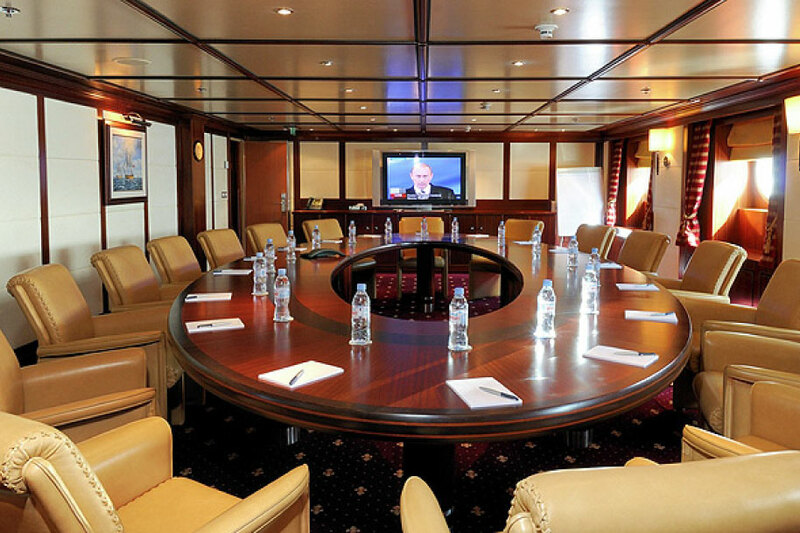 Executive meeting harbour charters on Sydney Harbour have become extremely popular and for a good reason.All of our vessels are equipped with built-in state of the art AV facilities as well as fast & secure internet to ensure your meeting presentations go to plan. Sydney Harbour Luxe Charters will work with you to source the most suitable vessels, food & beverage package and AV requirements to work in with your itinerary for the day. Executive meeting harbour charters are an experience second to none. Hosting your next executive meetings on one of Sydney Harbour Luxe Charters luxury vessels, complete with our unparalleled service, will really set the tone for your next executive gathering. Your meeting breaks will consist of fresh air and Sydney Harbors iconic landmarks which we are sure will be a highlight of the day for your local & international clientele onboard. Sydney Harbour Luxe Charters tailors executive meeting packages, as we understand not two business meetings are the same on Sydney Harbour. Our dedicated team will tailor a package based on your individual requirements and overall budget. From the size to the style of the vessel, staffing requirements, food & beverage and overall running of the day – we have it covered!